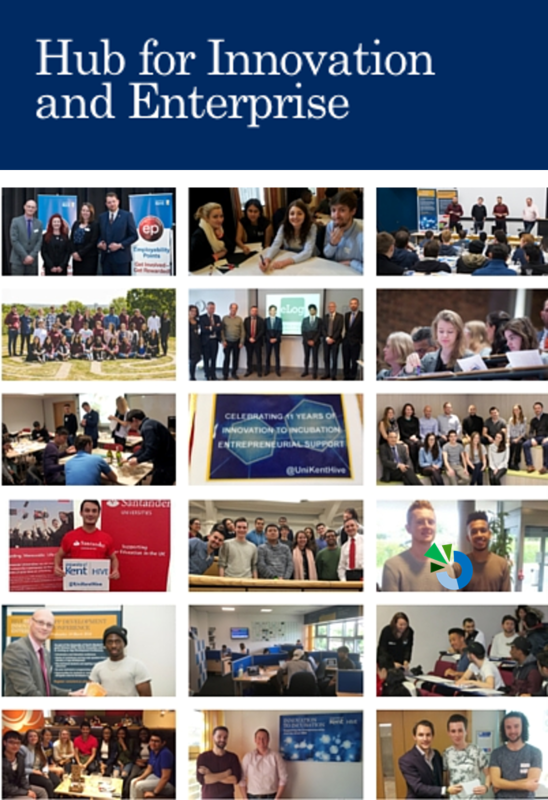 Today, we have a guest post from the Kent Innovation and Enterprise Hub, a part of the University dedicated to helping current students and recent graduates start their own businesses. 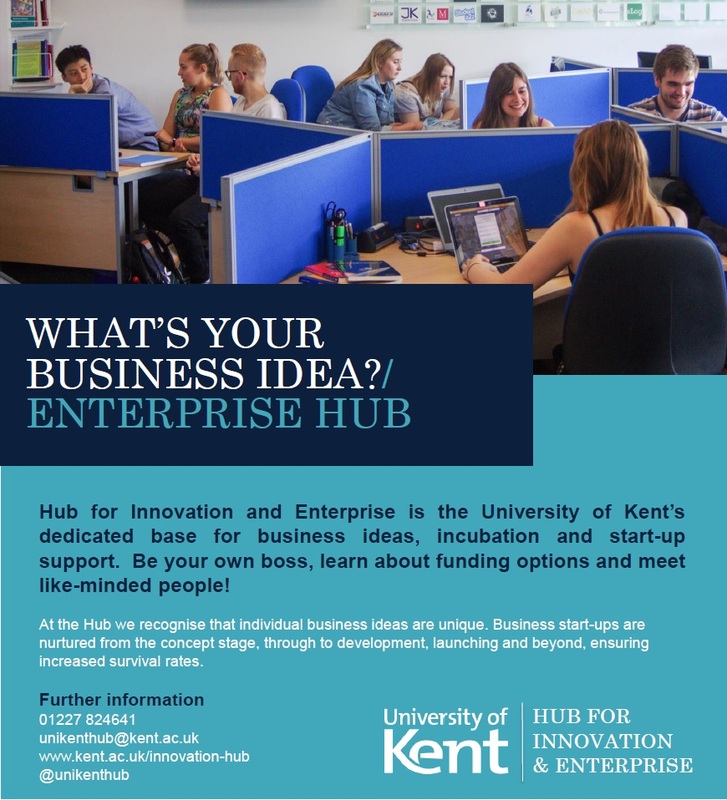 If you’ve ever had an idea for a business, read on to find out about events and opportunities the Hub offers to support you. 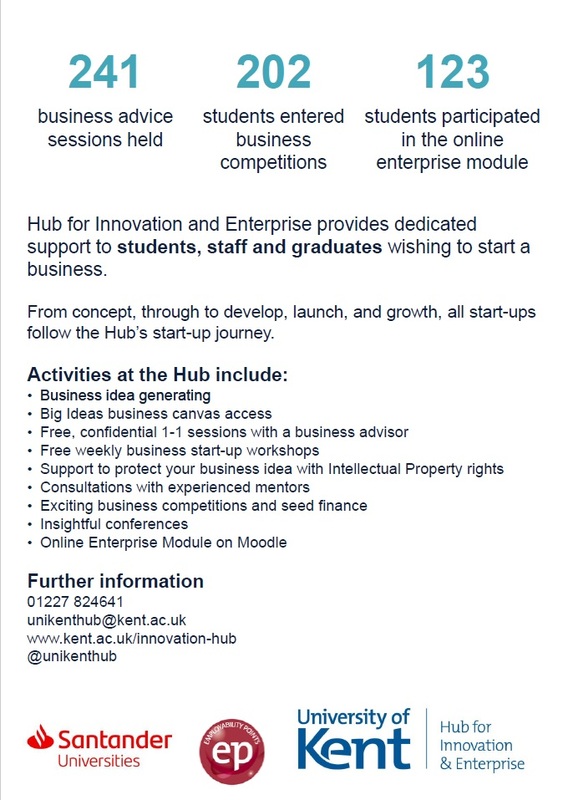 You may have a business, you may have a business idea, you may want to learn how to generate ideas – Hub is a dedicated base for start-up support and incubation at the University of Kent. To talk to our professional business advisor, sign up through our website. 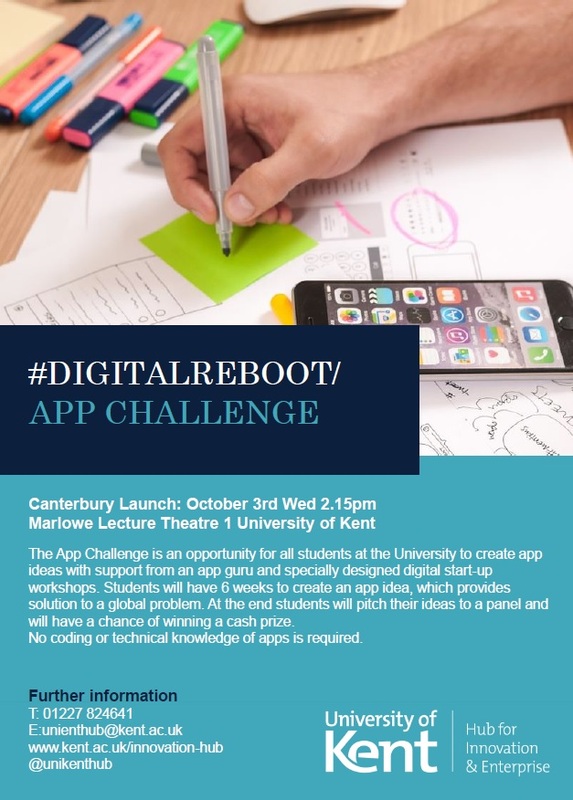 Want to propel your business in the digital space? Talk to our Digital Marketing mentor! Thursday 1st November – book a slot via email. 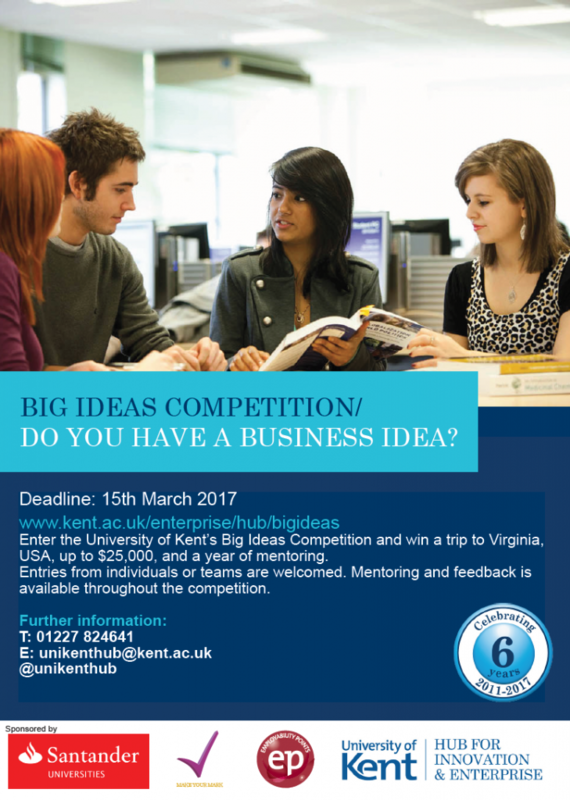 Not sure how to evaluate your start-up expenses? Come to a session with an accountant! Tuesday 13th November – book a slot via email.